The Community Cat Coalition of Beaufort County NC is made up of multiple organizations who are working together to improve the lives of community cats in the area by providing low-cost spaying/neutering and vetting services through spay/neuter clinics. The group consists of the Humane Society of Beaufort County, Feline Outreach, Paws and Love, Inc, ENC Shelter Cats, and Beaufort County Animal Control. We finished our most recent spay/neuter clinic on March 9, 10 and March 16, 17 which you can read more about further down the page. The clinics are specifically held for those cats whose caretakers fall into the low-income category and are unable to afford even low-cost spay/neuter options as the costs become overwhelming when multiplied by the number of cats needing to be spayed/neutered. Although this is free for those caretakers, our organizations front any of the vetting expenses as well as the costs of providing meals and lodging to the NC State Veterinary School staff and students who bring their mobile clinic to Washington, NC to provide these spay/neuter services. The cats are also given rabies & FVRCP vaccines at the clinic. The impact these clinics have is astounding! Our June 2018 clinic alone saw a minimum of 50 females who were spayed which prevented anywhere from 200-400 kittens from being born within the next year! That is AMAZING! Our community needs this and we hope you will join us in our spay/neuter mission. We would love to have more community support through individual and business sponsorships so that we can continue hosting these clinics. ​If you would like to be part of our success, please consider making a donation through the PayPal link below (or you can mail a check made out to Paws and Love with "tnr clinic" in the memo! Click for address). In return, for every $25 donated, we will send you one of our vinyl TNR cat stickers to place on your car, windows, or wherever you like, as a thank you for your support! Donate $175 to receive one of each sticker and collect them all! ​Businesses who donate $100 or more will receive a business sponsorship sticker for 2019, a "shout-out" post on the Paws and Love Facebook page recognizing your business, and your logo will be placed on this page along with the other businesses who have sponsored our spay/neuter clinics! And you'll be part of the team, helping take charge on the spay/neuter issue our county currently faces. Our business sponsor sticker that is available with a minimum donation of $100! March 9, 10, 16, and 17; 2019: A grand total of 102 cats were spayed/neutered at the clinic - 56 males and 46 females! 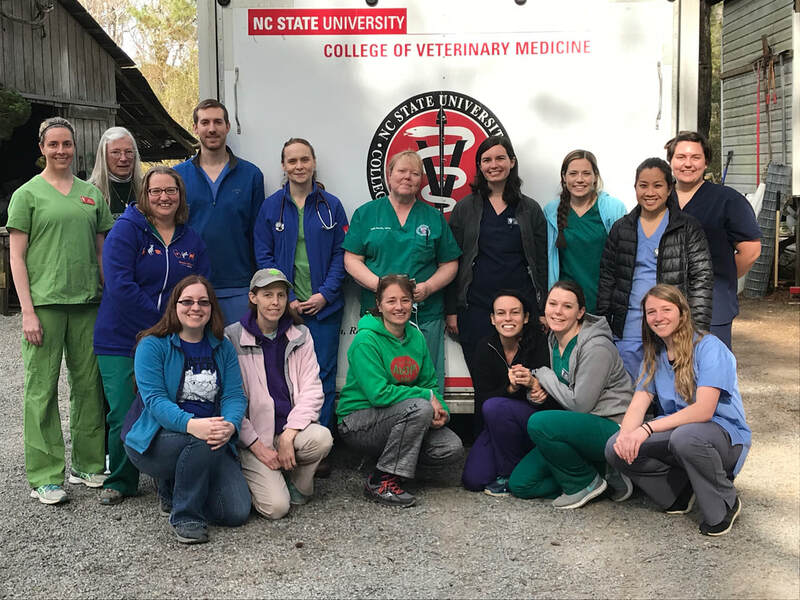 This clinic was split up into two weekends that were during the NCSU spring break - we are so grateful to the students and vet staff who came out to help during their break time. 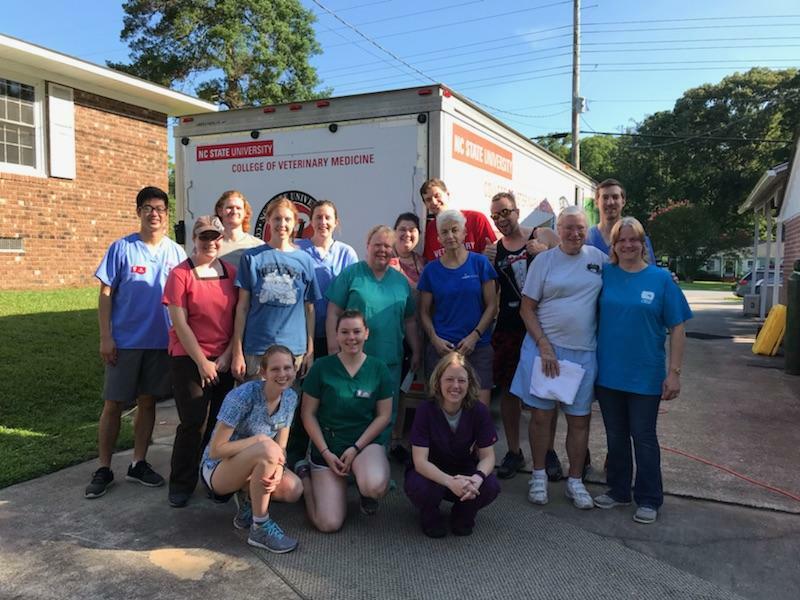 And a BIG THANK YOU to the Humane Society of Beaufort County who really went above and beyond to make sure everything was covered for the NCSU Veterinary Mobile Clinic. This allowed everyone else to focus on trapping some kitties! We had another successful clinic thanks to volunteers from the Humane Society of Beaufort County, Feline Out-Reach, Paws and Love, and officers from the Beaufort County Animal Control. With 46 females spayed, that means we prevented at least 160-350 kittens from being born within the year. Think about how big of an impact we can make by spaying/neutering more! Join us and be part of the solution today! October 14-16; 2018 - 88 cats went through the clinic. 33 males, 44 females, 11 unknown. 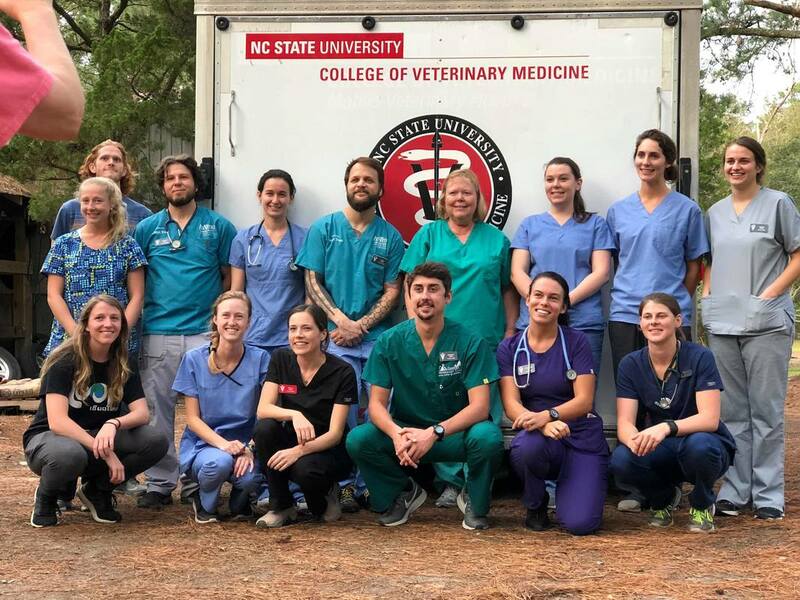 Thank you to the NCSU Vet School veterinarians and students, and volunteers from Humane Society of Beaufort County, Paws and Love, Feline Out-Reach, ENC Shelter Cats and our sponsors for making this another successful event! June 29, 30, July 1; 2018 - 103 cats went through the clinic. Approximately 10 others were taken into foster care so they could become healthy. They were later spayed/neutered and returned to their home. At least 50 were females! Thank you to everyone who helped at our June 2018 clinic! 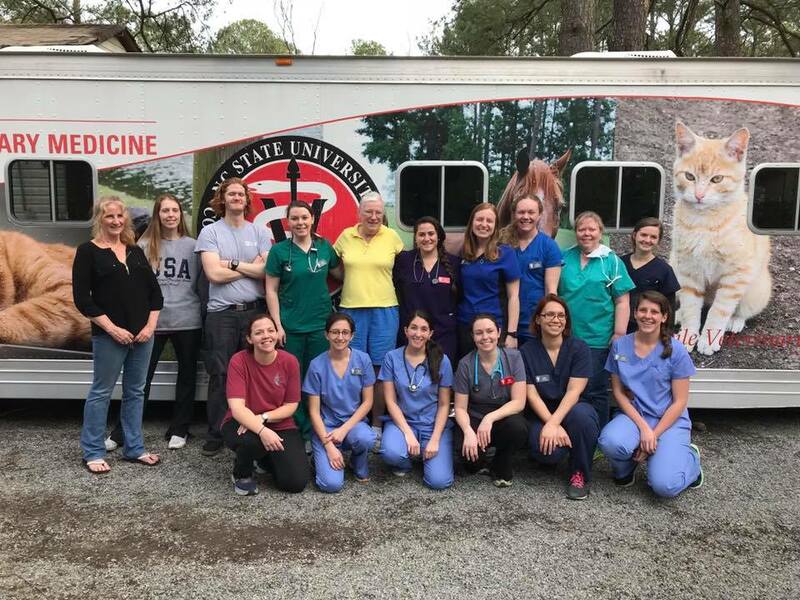 The NCSU Vet School veterinarians and students, and volunteers from Humane Society of Beaufort County, Paws and Love, Feline Out-Reach, ENC Shelter Cats, Beaufort County Animal Control, and sponsors. We even had a couple of volunteers from outside these groups show up to help (including the Pet Food Pantry of Eastern NC)!